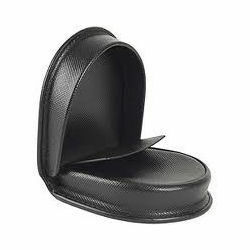 Widely used for keeping coins for expediency in transactions, our range of Leather Coin Holder is one of the most demanded items of our gamut. 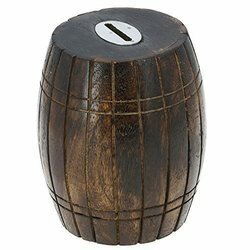 These Leather Coin Holder are in line with the latest trends and are appreciated in the market for their durability and strength. Key Holder / Credit Card Pouch / Coin Holder by Paulwalter. Pockets on both sides, small but big enough to hold credit cards, folded currency, drivers license, coins and keys. Keep all your essentials together. The pouch is constructed with soft full grain leather with two zippered pockets and key ring. Elegance and fine finished designs of Ginni / Coin boxes and folders in which you can place one, two, four or five ginni, coins. Available size: 0 no- 17.5 mm 1 No- 20Mm 2 No- 22.5 mm 3 No - 25Mm 4 No - 27.5Mm 5 No - 29 Mm 6 no - 31.5 Mm 7 No- 33Mm 8 No- 37Mm Shipping charges rs 50 of order under 1500. Free shipping above 1500. Excellent High Quality Coin sheets to protect your coin & for fine display. - This set contains 5 blank coin sheets in total.